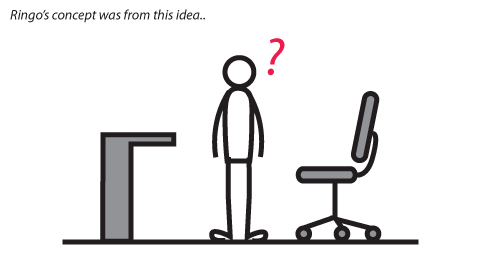 How might a chair support learning experiences for growing children? Ringo started for a company’s need to expand the product line not only for a B2B market but also B2C. The company has specialized in a high-performance office chair, mostly for adults, but there was a lack of research about children as a user. What children want? What kind of key features that are essential for children? To understand the user(children) and the customer(parents), I researched young parents’ online communities and children’s furniture market. In Korean culture, many parents create independent studying environments in their children’s room from their age 7. However, a children chair has a short lifetime because of children’s growth. Due to this reason, many children have used a dining chair in their home, or an adult chair earlier than their age. 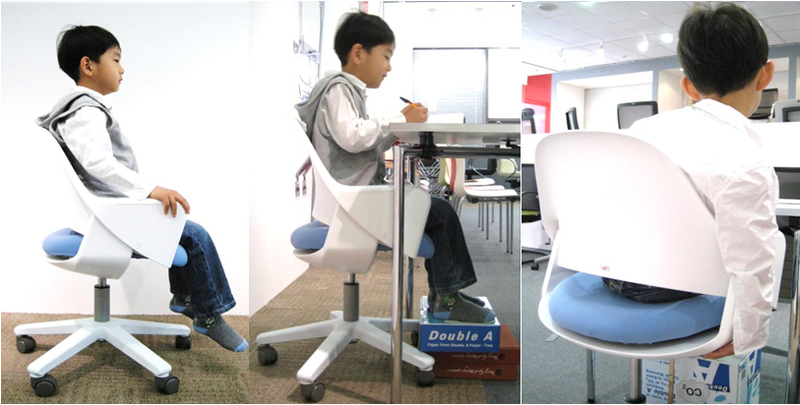 The desk is designed to last more than 10 years so the general desk height is same as the adult’s one, but the range of children’s chair is limited to cover children’s fast growth. Through research, I found that many Korean parents have wanted their children’s health and concentration on a study. Their biggest concern was that their children haven’t sat properly on their swivel chairs. 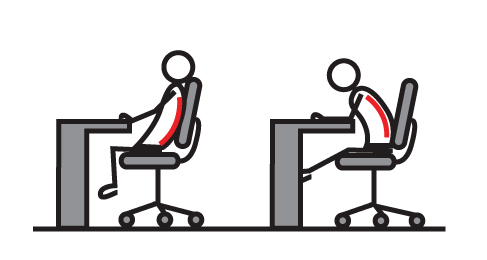 Based on insights, I looked into children’s sitting posture. 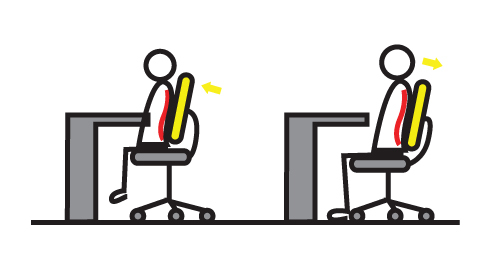 What if the backrest is able to move back and forth? 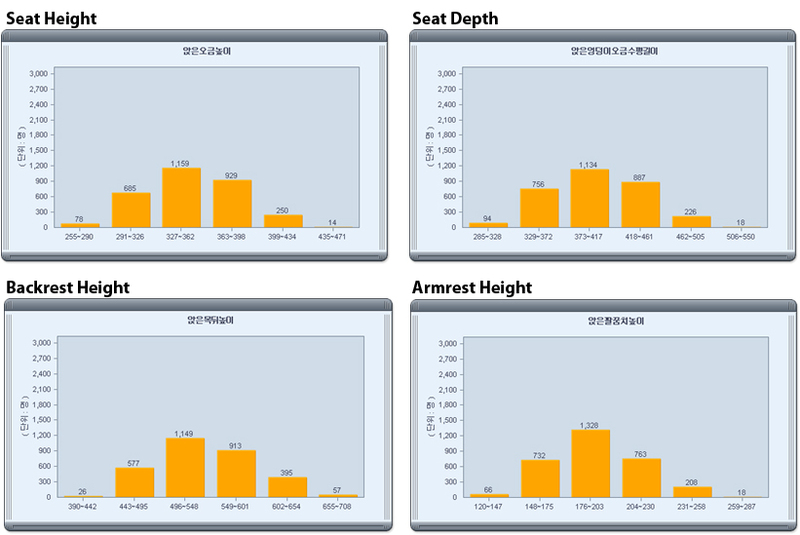 No matter how tall they are, kids can sit properly with a right seat depth. These are the early sketches from the concept above. Ringo can adjust not only the backrest height and seat depth but also the armrests height at once by only moving armrests. All dimensions of Ringo are based on certified data from Korean Agency for Technology and Standards. I made a 1:1 scale design mockup with ABS and styrofoam to check the real scale, proportion, and indication. I verified the dimension of Ringo with engineers with 7-year-old children by visiting children’s learning center. All products manufactured by the company meet BIFMA standards. BIFMA is a certificate for adult’s office furniture, so most of the quality test results were satisfied with BIFMA for safety. This is a final manufactured product. 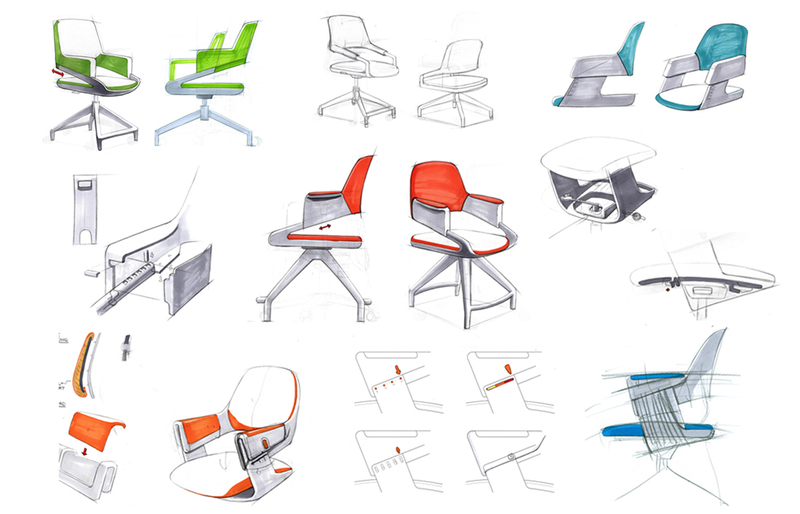 [Feature 1] Ringo’s backrest and armrests are in one shell to move simultaneously. The shell is adjustable by moving two dials at the side of the chair. Indicators show the level of height. 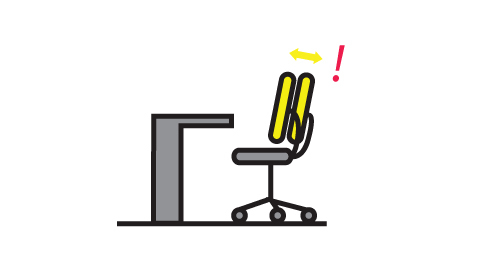 [Feature 2] It’s back and seat cushions are replaceable by customers to maintain the chair clean. [Feature 3] It’s height adjustment lever is located right below the seat pan for children to adjust it easily. [Feature 4] It has a rotation lock for safety and concentration on a study. [Feature 5] It uses brake casters which lock the casters’ rotation by weight. [Feature 6] A footrest is attachable for small children. The footrest is 144-angle-wide and has two levels of height. [Feature 7] Its upholstery has two types, double mesh for ventilation and artificial leather for contamination. Those colors are carefully selected by market and trend research. Ringo has a side chair option which does not have an adjustment. Ringo has broadcasted on air in 2012. Customers have uploaded their children’s room photos. Ringo had been exhibited in Design Korea 2011 as a selection of Korea Good Design Award 2011. Ringo was featured in Chlorosphere 2015 Trendbook. Ringo has been on sale in Costco Korea since 2012. Ringo was on sale in ToysRUs Korea.